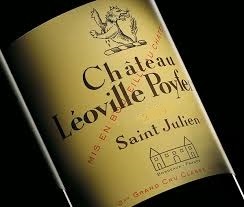 Victoria and I were at lunch at Vintners Hall yesterday and with the beef main course were served 2002 Château Léoville Poyferré. It was utterly delicious and all the more fascinating since I knew that a case of it was among a tranche of worthies to be made live today on GrapePip. "A riveting, mature nose that includes a hint of mint to the dark fruit and notes of liquorice and warm spices. This is fully complex and a fascination to smell. The palate is medium weight at the most, but cool, extremely elegant and refined, with a lift of fresh tannin at the rear. A long thing and very satisfying."